This will put your documents in executive order. 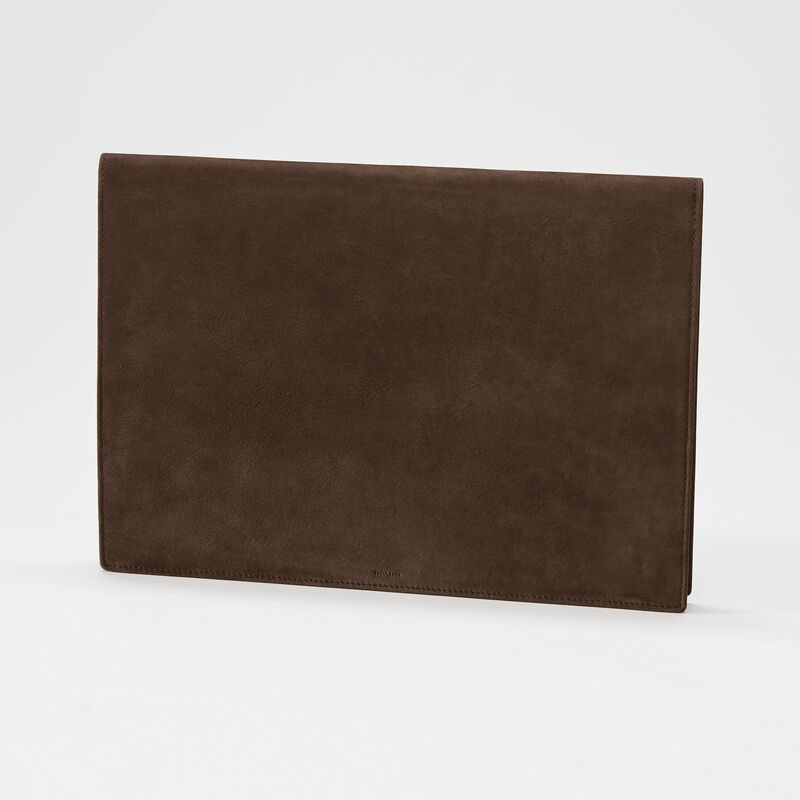 Lightweight and flexible document carrying case in supple Italian full-grain cowhide leather with large-sized envelope pocket design, holds formats up to A4. Documents are protected by the leather flap, which also prevents them from falling out. Dark blue viscose lining. 24 x 34 cm. The Nubuck Edition elevates the quality of our full-grain leather with a specially crafted finish. 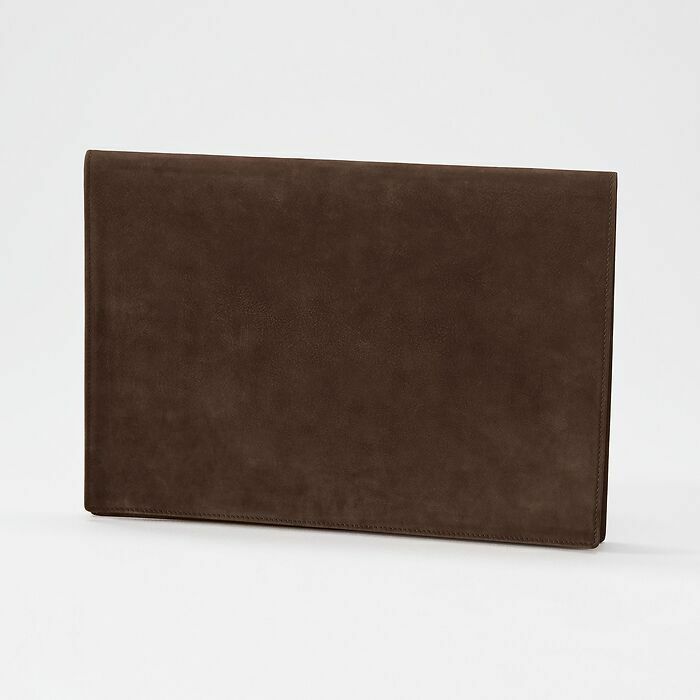 We have added new texture and temperament to the well-known quality and patina of our collections in full-grain cowhide leather, by introducing the warmth and goodness of premium nubuck. Sturdy yet supple, this finish requires extra craftsmanship to achieve the velvety touch created by buffi ng the leather’s outer grain. The Treuleben Nubuck Edition product range is available in two new colors, Greyhound and Arabica.